"Tillinghast's poems range confidently among different cultures. He has a sense of history as a living force. The experiments in metre, rhyme and free verse in The Stonecutter's Hand are important. He is a wonderfully gifted poet, one of the few." "Of all the many complex, sometimes self-cancelling, tasks a poet must address, it may be that the most demanding and severe is getting things right. Richard Tillinghast performs that office with an honesty so strict that over and over his poems prove themselves faithful in ways that bring a quiet, undisputed delight." Richard Tillinghast is the author of five books of poetry published in the United States, including the critically acclaimed The Stonecutter's Hand, as well as Today in the Cafe Trieste, published by Salmon which features a selection of Tillinghast's work, both published and previously unpublished. James Dickey called Tillinghast 'the best poet of the younger generation, and deserving more recognition than most of the poets of the older generation...' His work stands out among contemporary poetry for its focus on history, and for the ease with which it moves back and forth between widely differing poetic idioms. 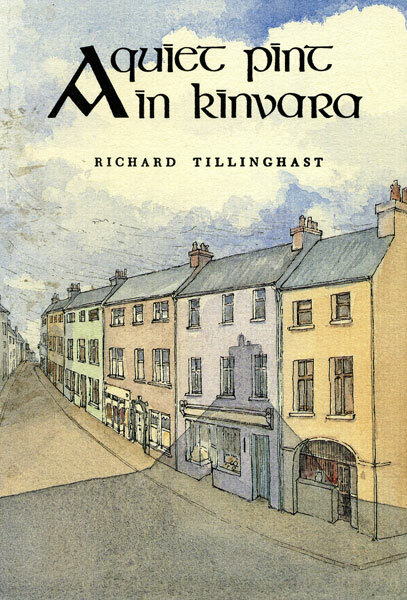 In the early 90s Tillinghast lived for a year with his family in Kinvara, County Galway, and he continues to visit Ireland often. He frequently writes on books and travels for the New York Times.